Blood and Fire • View topic - IRA JONES - Kettle Wire 12" Reissue NOW AVAILABLE ! JUST ARRIVED AND FRESH OUT OF THE OVEN! 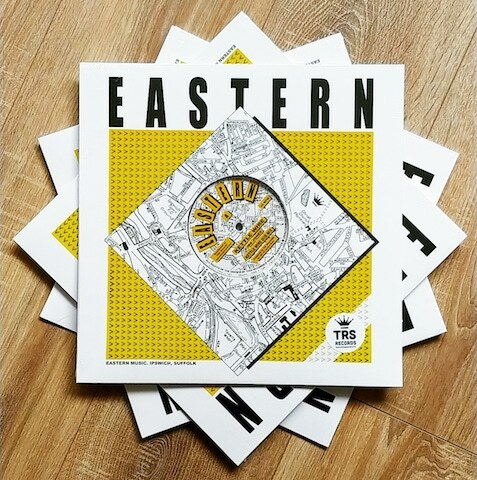 Straight out of Ipswich, Suffolk UK, presenting the arrival of Pat Alexander's crucial release of 1987 on the Eastern Music Imprint. A long time favourite of the 80s collectors and digi-reggae connoisseurs, TRS is happy to announce the reissue of Ira Jone's Kettle Wire is finally here. Originally titled 'Studio Talk' the name change came after a voicing session with then young singer Ira Jones. According to producer Pat Alexander "the power lead that was plugged into the amplifier was the same wire that supplied power to the Kettle. For obvious safety reasons and the studio being newly designed, there was only one cable of it's type in the studio as the original power lead had been left at a gig somewhere. So whenever a cup of tea or coffee was required the Kettle would always take priority over the amplifier. Humour is where it’s found and now you know the reason for the lyrics, and you may have a smile when you listen to the song." Also featured on this 12" is previously never released on vinyl "Spirit Dance" by deejay Courtney Malik. Again according to Pat Alexander "we used the Studio Talk rhythm with deejay Courtney Malik who was a member of the Ashanti crew, he bought his own style of lyrics into the studio. "Courts" or "Puppa Courts" (as he was fondly known as) was a local character as you can hear from his lyrics that he had a style that combines humour with reality with the right amount of aggression that makes you tune into what he has to say. This was one of my favourites, and as soon as we dropped this track the atmosphere in the studio was electric as I believe "Courts" had no idea what he was going to come up with lyrically, so these lyrics came from the top of his head and we were fortunate to capture it." Re: IRA JONES - Kettle Wire 12" Reissue NOW AVAILABLE !